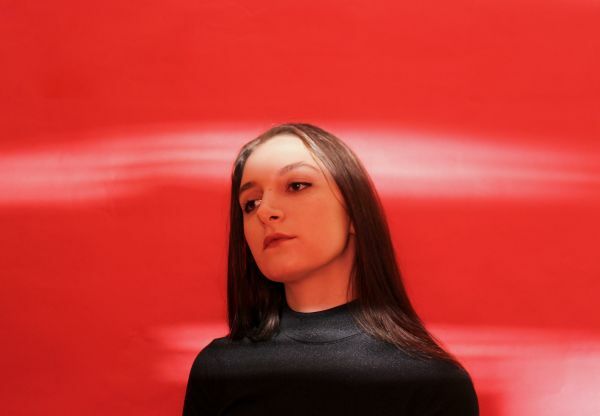 Detroit-based (via Palm Springs, CA) vocalist and producer Alyssa Midcalf originally gained attention in the music realm with her output as one half of the duo Parts. Midcalf has now gone solo and records under the moniker Primer. She introduced Primer with the tune “Anesthetized” last year, which was released via Young Heavy Souls Records. Midcalf’s debut album, Novelty, bows March 1st on the same record label. On the LP Midcalf showcases her skills as both a vocalist and a songwriter. The sound of the album, which was composed heavily on a Roland Juno synthesizer, is characterized by driving drum beats, sub-heavy bass lines, and shimmering synth leads. Through it all Midcalf sings like a crestfallen angel; gently, softly, and airily – yet permeated with a deep shadow of anxiety and restlessness, even on the up-tempo tracks. Midcalf says she was drawn to the sense of futurism that the word “primer” invokes. This is fitting with the tone of her debut LP, which brings to mind images of a dystopian disco. The Big Takeover is glowing with pleasure to host the premiere of the video for “Anesthetized”. Starring Midcalf who dances around with wild abandon, but with a graceful fluidity, the video is also captioned with the song’s bleak lyrics. Midcalf cries out in a passionate, but wounded tone amid the heavy and extended synths diffusion, pulsing electro-radiation, rhythmic percussion, and dynamic drum beat, lost in a world turned threatening and filled with (un)known dread. About “Anesthetized, Midcalf reveals that, “The song was written after the 2016 [U.S.] election and definitely has a political edge. It was influenced by a sense of helplessness.”, certainly a feeling a feeling that a majority of Americans, and many people around the globe, still feel to this day.